2018 is almost over and we are back with our Rewind series! 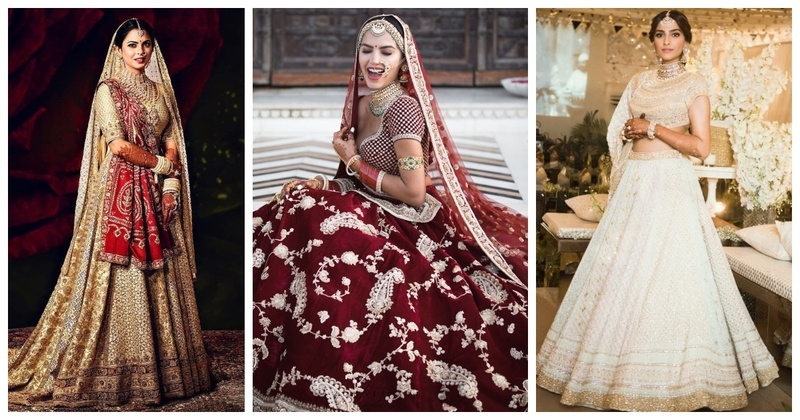 After a lots of scanning, prodding, screen testing and team approvals we have arrived at our 15 favourite bridal lehengas from 2018. Scroll down to see if your favourite made it to the list! Drum rolls, for we are about to unveil our most loved/favourite/can kill for it lehenga! 1. And the best lehenga goes to...Silky Kothari’s mehendi lehenga! Is that even a surprise? 2. Diipa Khosla’s reception lehenga screams “AMAZEBALLS”!! 3. This rani pink lehenga with intricate design definitely deserves the 3rd position! 4. This gorgeous lehenga on Isha Ambani designed by the God, Valentino himself had to be in our top 5! 5. Surprised that Silky’s famous lehenga is on the 5th position and not 1st? So was my senior! 6. Love love love the colour combination of Saina Nehwal’s lehenga!! 7. Diipa Khosla in a Sabyasachi classic and our favourite! 8. This bride looks radiant in a soft pink lehenga with ruffles! 9. Thoroughly impressed with this bride’s choice of wearing a dusty lilac lehenga! 10. This light lehenga with jacket is so pretty! 11. Yellow, yellow, whatte beautiful fellow! 12. Pastel pink lehenga in sync with the pastel rage! 13. Rani pink lehenga for the pre wedding functions got our hearts! 14. This royal velvet lehenga left everyone studded! 15. Ombre lehenga for the win! To the ones that made it to the list- send mithais to our office (psst..in the name of the junior content writer) on your nomination.